CAN VIDEO GAMES TRAIN US TO HANDLE STRESS BETTER? A growing phenomenon in the gaming community characterized by intense anger in response to in-game obstacles and competition. Added stress elicits an immediate reaction from the gamer's body - heart rate escalates, blood flow accelerates, skin perspires and muscles tense. Tracking just the stress indicators tied to heart rate we are able to map a gamer's emotional response to in game events. This chart visualizes a gamer's heart rate over 60 seconds of an online multiplayer battle of Halo. Spikes in heart rate consistently correlate to moments of combat. I prototyped a solution by modifying an xbox controller with a pulse sensor to record the gamers heart rate and provide visual and haptic feedback in response to stress during play. Though dozens of prototypes, the design language was elegantly balanced with ergonomic and technical constraints. 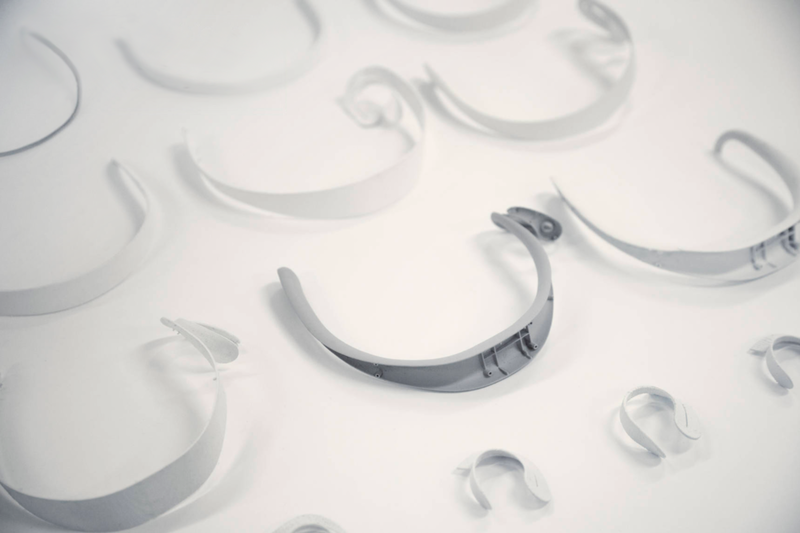 The hardware relies on an optical pulse sensor built into the earpiece to record the user's heart rate by reading subtle color changes in ear tissue to approximate pulse. 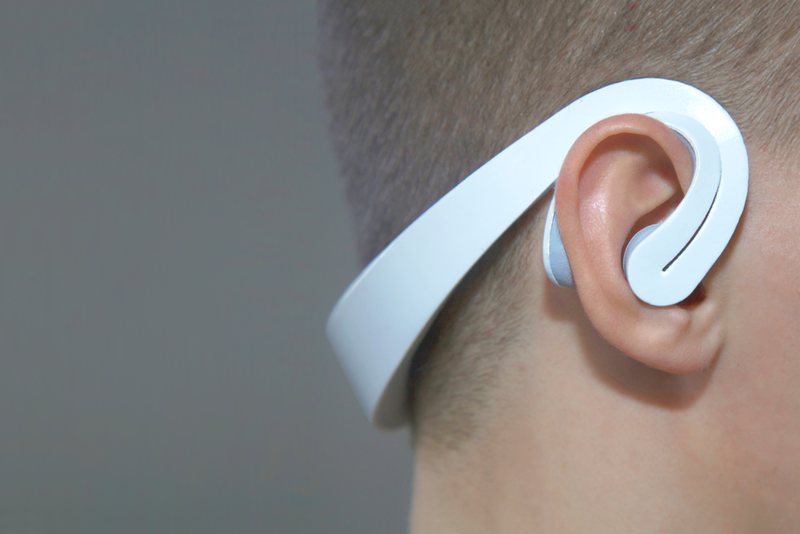 The hardware relies on an optical pulse sensor built into the earpiece to record the user's heart rate by reading subtle color changes in ear tissue. 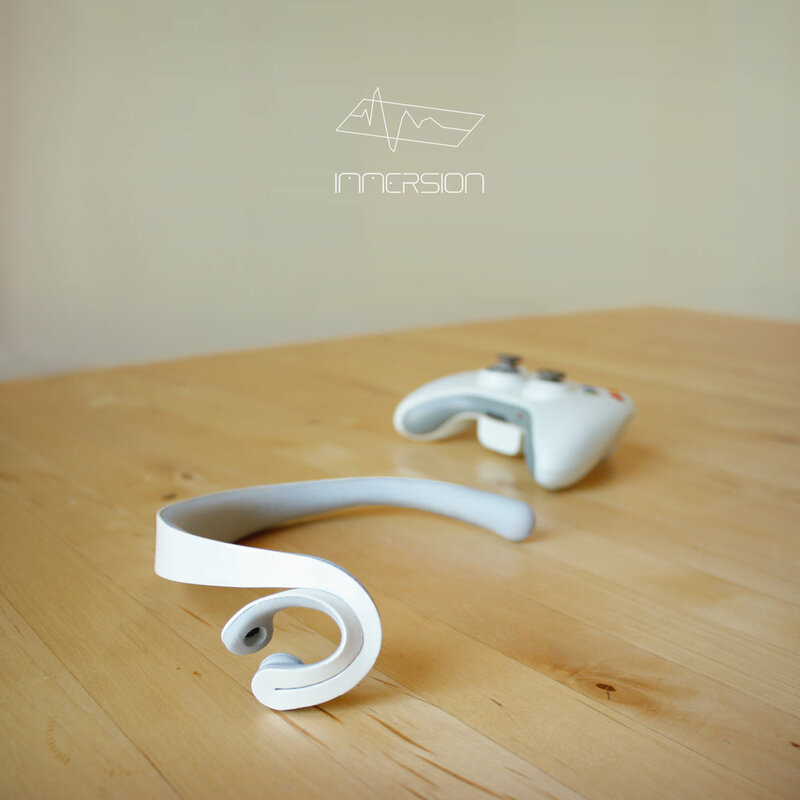 The headset pairs with a custom video game that I built in the Unity game engine to demonstrate the possibilities of biofeedback in gaming. I scripted a custom enemy artificial intelligence to respond to the users stress levels. As the users heart race increases, the enemies become more numerous and difficult to defeat - meaning the only way to achieve a high score is to remain calm. This game mechanic is designed to train the gamer to be aware of their own visceral reaction to the game and control their emotional state.